No pills...no crazy diets...no yucky foods...Follow this like a recipe and you WILL SUCCEED! Hurry! Deadline is November 15th! "Most people that work out are using the wrong strategies for what they are trying to accomplish! This is why so many people get frustrated. Don’t be one of them. Stop wasting your time. It doesn’t take hours and hours every week in a gym to get results. You just have to use the right strategies with what you eat and work out smart!" If your car breaks down, you will figure out how to get it fixed. If your TV goes out, you will get another one. But your body – your amazing living, breathing, heart-beating body – is the only one got! Are you taking care of it, or ignoring the only YOU you got? Give us just 21 days and we'll melt up to 10 pounds (or more) of fat off your body and put you on the fastest track to a tight, toned and terrific new you for the new year... quickly, safely and naturally, without diets, drugs or gimmicks! Hurry! I can only accept 10 clients for this challenge! Will YOU be one of them? (It does not matter where you live! - this challenge will be conducted online and by phone and email support). Challenge is November 17th - December 7th. Don’t let the stress of life wear you down. Don’t let your other “important” obligations push this most important priority – YOU – to the back burner like you have been doing for so long already. I’m not trying to get you to just lose a few pounds. I want you to get the most out of your life. And that starts with taking care of YOU. If you are OK with just coasting by in life and you don’t mind being tired and out of shape, then this probably isn’t for you. If you aren’t motivated enough to take action right now, that’s OK – this isn’t for you. If you have settled for just getting older and heavier with each passing year, and you are OK with it, this isn’t for you. You are you struggling with weight loss. You have clothes in the closet that you can’t fit into anymore. You have you tried other plans on your own with no success. Are you sick and tired and feeling sick, tired and FAT, and you’ve reached a point where you are finally ready to do something about it?? I’m Wayne Salter. I was a full time personal trainer for 5 years. Then I had another calling to be a police officer. I still help a few, select people "on the side". I know you are probably fed up with magazines and infomercials promoting the latest diet or exercise gizmo in weight loss – so fed up and confused that you just roll your eyes and say, “yeah, right”. 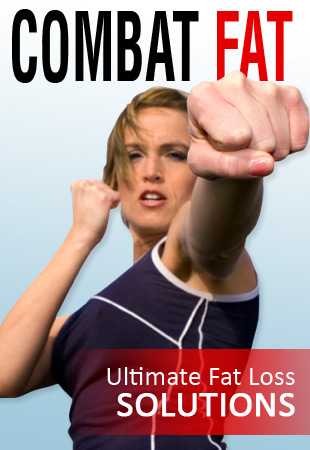 You probably have seen so much hype over the commercialization of losing weight that you have grown numb to it. I’m not promising some easy, pie-in-the-sky results. But I will promise you that if you let me help you replace your old habits with new, smarter ones, you will have more energy, more self-confidence and fat will begin melting off of your body! Do you walk into social and business situations embarrassed because of how you feel about your body…self-conscious of how you look? I know how you feel. I’ve been there. Imagine walking into a business meeting or a night out with friends feeling more confident and strong…being slimmer and standing taller than you did before, knowing that others are noticing the new and improved you! I usually go above and beyond when I take on a task. This definitely goes in YOUR favor! I make sure that my clients are happy, and that they are THRILLED with my service and their results. You need to act NOW…because I give such personal attention, I can only accept 10 clients for this challenge. What you will be getting with this challenge is well worth the normal $197 that is charged. Because I want you to give yourself an early Christmas Present, I’m offering this challenge at a ridiculous low price of $97. I’m so sure that you will see noticeable changes in just 3 weeks that I will give you back your $97 PLUS $25 MORE! But there’s a catch…(“Ah, I knew it”, you say). 1) I want you to take a “before” picture of yourself. Yep, one of those infamous, embarrassing pictures that you take of yourself in the mirror, or better yet have someone else take it. You don’t have to show me or anyone else – this pic is for YOU. Heck, take a selfie in the mirror! Why do I want you to take a picture of yourself? Because it gives you a starting point. You have to face reality. And that picture will be your motivation every time you work out, and every time you eat. I believe – no, I KNOW, that after you begin seeing results, you will WANT to take another picture for comparison to the first one. If you don’t take a before picture, you WILL regret it! Seeing and feeling clothes fit differently are great things, but it happens gradually. Having a “before” picture and follow-up pictures to compare is instant satisfaction and further motivation! 2) The other commitment is you have to follow through with the plan! You can’t just sign up and expect to magically lose weight. I’ll do my part, you do your part. You have to take action! But that’s the good news…you will be following a proven path to success! Not just blindly walking in the dark and wasting time. 4) Do at least 20 minutes of cardio on your off days. 5) Don’t give up! Even if stumble along the way, get back up and keep going! Contact me with the form below to secure your spot. Remember, I can only take on 10 clients for this challenge! Most people that work out are using the wrong strategies for what they are trying to accomplish! This is why so many people get frustrated. It doesn’t take hours and hours every week in a gym to get results. You just have to use the right strategies with what you eat and work out smart! No pills, powders or juices! Many plans require you to buy $97 worth (or more) of weight loss supplements in the same 3 week time span that I’m offering this complete 21 day package! What's the really important part? says Christopher Scott, Ph.D, who studies strength training and metabolism at the University of Southern Maine. You could work out for 2 hours every day, but if you eat like you don’t care, you will just have some tough muscle under layers of fat. That’s what Mark found out. Before I started helping him, he was working out like a bodybuilding and eating like a king! I convinced him to exercise SMARTER and eat BETTER. No two clients are exactly the same. That’s why for a lot of other trainers who use “cookie cutter” exercise routines, they have hit and miss success with their clients…and that’s another reason why clients walk away from that experience with a bad taste in their mouth regarding personal training. I find out WHY they got where they are; and WHY they want to change NOW. And then we help them figure out how to replace the bad habits with the good ones for a LIFETIME of health and fitness instead of some temporary fix with a crazy diet or a potentially dangerous supplement. So are you up for the challenge? Are you ready to get SERIOUS? Have you reached a point of frustration in your life where you are ready take ACTION? If so, use the form below and I will send you more information - no obligation - let's just talk about it first! The kickoff date is Monday, November 17th. The deadline is November 15th! Hurry before the 10 spots fill up! I’m really excited about helping you! I know how frustrated you probably are, and I want to help! If you are NOT ready for the challenge, enter your email below and I will send you a free report: "18 Tips to Lose Weight and Keep it Off!". I promise to use it only to send you Body in Motion.